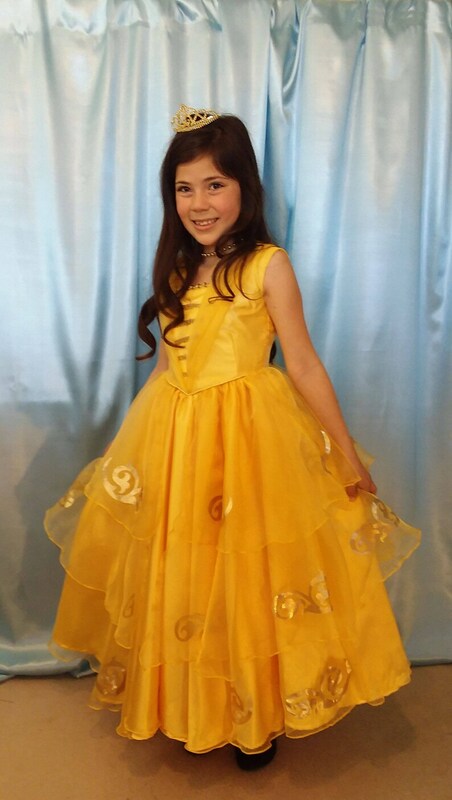 Belle A beaurifully made yellow organza costume, decorated with gold swrills design..
Gold swirl's decorate the three tiered sheer shirts over satin. Bodice is lined and has a full tulle underskirt, back zipper. Wasit measurement: 24" Length top of shoulders to hem: 40"
Your child's measurements at least 1 inch smaller than the dress for a proper fit. If you do have any questions, please do not hesitate to contact us. All our elegant costumes are hand made of first quality fabrics with attention to details and design. Seams are all finished. 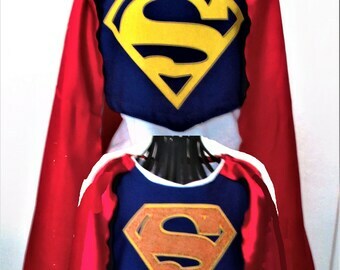 We guarantee the quality of workmanship of all our costumes. Gorgeous and so well made. Shipped fast - thank you!!! If I could give 10 stars I would! First-the communication from the shop is stellar! Second-the costume is just amazing work. Beautiful design and fabric. My daughter is so excited to wear this for Halloween. Because of the detailing and the glamour of this dress she is calling herself a Witch Princess! Thank you! Returns on merchandise for a refund must be in new and unworn condition, Items must be received by us in 10 days after written authorization is issued by Caped Crusaders. Returns shipping must be paid by buyer.